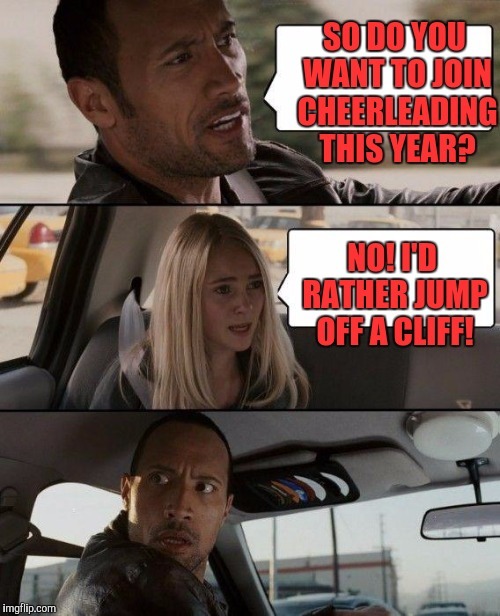 SO DO YOU WANT TO JOIN CHEERLEADING THIS YEAR? NO! I'D RATHER JUMP OFF A CLIFF!